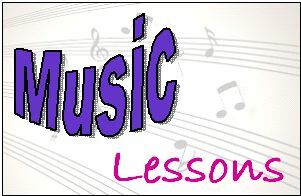 On The Bigg Success Show today, we had another installment of music lessons. Listen in if you want to hear some terrible singing! Little Drummer Boy is one of the most famous Christmas songs of all and one of our personal favorites. It’s short and simple, but packs an incredibly powerful message. You know the story. The little drummer boy’s friends are on their way to see the new born King. They’ve brought their best gifts. The little drummer boy was from a poor family. He had no money. He had no gift – especially not a gift fit for a King. What a pickle he was in! But he was quick on his feet – he asked permission to play his drum. It pleased the boy King. You, too, have a gift fit for a King. It’s not a gift that requires that you spend money. You just have to be willing to share, to give of yourself. But first you have to discover your unique gift. Have you found it yet? Subscribe to the Bigg Success Weekly – it’s FREE! Picture yourself walking on a long, beautiful beach. You come across a beautiful bottle. You pick it up and polish it a little with your shirt. Out comes a genie! This genie is a special one. This genie tells you that you don’t have to worry about money. You can spend your time anyway you want. What would you do? Take some time to really think about it. How would you spend your time if you didn’t have to worry about money? Now ask yourself another question: What is it about that activity that appeals to you? Dig deeper. You may find that it’s not so much the activity; it’s some underlying part of it that pleases you. But don’t stop there. Now ask: What is easy for you to do that others find difficult? Really think about this one. We tend to diminish those things that we find easy to do. In fact, you may not even notice these things because you expend so little effort to do them. You just assume that’s the case for everyone. So talk to people who are close to you. Ask them what they think you’re especially good at. Now that you’ve thought about what you would do if money weren’t an issue and you’ve thought about things you’re able to do effortlessly, put them together. It’s highly likely that you’re going to see an alignment between what you love to do and what comes effortlessly for you. That’s your gift. That’s your drum! Play it to create rhythm in your life. Play it to reach bigg success! Is Your Star Shining Bright? i love this blog.. it’s so nice..
How nice of you to say, onny. Thanks so much! Hahahahahaha…the song just so beautiful!! !I can’t stop laughing! !It made me so happy!!! Thank you very much. I just successfully subscribed to your podcast on iTunes; thank you – I’m so looking forward to listening to it tomorrow on my ipod when I exercise. If I may, my favorite part of your post is advising folks to focus on their gifts. As you alluded to, (paraphrasing liberally), we’re all good at something, and if we place our emphasis on that area, the other parts seem to fall in line much easier. I know for me in 2009 I have taken on the world of internet marketing, and it’s been quite a challenge. In my case, I am a pretty good writer, so that comes easy to me, but the technological stuff – forget about it. It drives me crazy, but there is a caveat; if I concentrate on the “content,” the other stuff comes together with a great deal less aggravation. So do what you do, and do it well – good luck to all in 2010! Thank you for subscribing, Myra! And thanks for adding to the post. We love how you gain momentum for the more tedious things.